Rome, September AD 96. When the body of Sextus Verpa, a notorious senatorial informer and libertine, is found stabbed to death in his bedroom, his slaves are suspected. 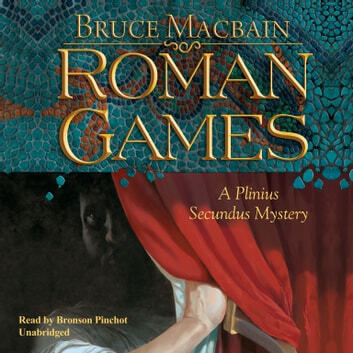 Pliny, a very respectable young senator and lawyer, is ordered by the emperor Domitian to investigate. However, the Ludi Romani, "the Roman Games," have just begun, and for the next fifteen days the law courts are in recess. If Pliny can't identify the murderer in that time, Verpa's entire slave household will be burned alive in the arena. Pliny teams up with Martial, a starving author of bawdy verses and denizen of the Roman demimonde. Pooling their respective talents, they unravel a plot that involves Jewish and Christian "atheists," exotic Egyptian cultists, and a missing horoscope that forecasts the emperor's death. Their investigation leads them into the heart of the palace, where no one is safe from the paranoid Domitian. As the deadline approaches, Pliny struggles with the painful dilemma of a good man who is forced to serve a brutal regime-a situation familiar in our own age as well. The novel provides an intimate glimpse into the palaces and tenements, bedrooms and brothels of imperial Rome's most opulent and decadent age.